Alan Pardew has revealed in the local papers today, that he was interested in signing Tom Huddlestone of Tottenham last summer, and it’s true that a few years ago, we also seemed to be interested in the now 27 year-old English International central midfielder. Hull signed Croatia striker Nikica Jelavic from Everton and Irish striker Shane Long from West Brom last month – so they strengthened their side while Newcastle weakened theirs – by selling Yohan Cabaye. And that statement from Alan Pardew suggests he is not in charge of the players Newcastle want to sign, and he is just one voice of about five who confer on who to bring into the club – but Mike Ashley’s likeness for signing younger players seems to rule the roost. That’s even though it would be beneficial sometimes to sign more experienced players like 27 year-old Huddlestone – who has played well, along with Spurs’ other midfielder 24 year-old Jake Livermore, both on loan at Hull this season. And there’s a subtle reference there from Pardew to Ashley wanting to sign younger players – like 24 year-olds. We suppose the Spurs midfielders will both be available in the summer, and therefore Newcastle could bid for the two Englishmen – but somehow we don’t think that will happen. Look at younger Frenchmen coming through the door this summer, although they don’t have Premier League experience and will take more time to settle in England. In the black and orange corner stands Bruce; flat of nose and puce of complexion – the burly guy in the pub grimly knocking back ale in a flat cap who starts quoting Inverting the Pyramid and could school you on tactical deficiencies of Hungarian teams from the 1950s. In the black and white corner is Pardew – suave, confident, silver-haired and snake-tongued. With high values and a rigorous moral code even he struggles to adhere to, Pardew is a long way from home. A Cockney in exile on a journey of self-discovery in the mad lands of Tyneside, he often wears the bewildered demeanour of a man attempting to lasso a whirlwind. A player went to Hull and we couldn’t get him! You can use whatever stats you like. We’re 8th in the league with 11 games to go with a manager at the helm who hasn’t been backed at all and has just had to sell his best player. I liked before Xmas when we were doing great and you were nowhere to be seen for months. As soon as we started doing bad you raised your septic little head and start sprouting utter garbage. You are a pardew hating extremist. A lost cause. You cannot see past your irrational hatred of pardew thus making any if your views completely redundant. You are the blog moron. Accept it and do something about it. A strikers prerogative when there is also a final product. 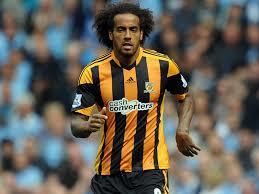 I’m sure Tom Huddlestone signed for Hull and is not on loan?? Lol sounds like a dig at our wonderful owner from Pardew tbh! Lot of talk about outgoings due to contract situations this summer, out of interest how long is left on Iron Mike Williamson’s contract? He came with Livermore he was the one on loan think Tom signed for 4.5million, Seems AP done alot of talking about players he liked last summer and thats all. If Pardew liked Long so much why didnt grow a backbone and demand he be signed? He was the man we needed not De Jong. Talk about a foil for Remy long makes Goufi look lazy and is still improving there is more goals in him with the right coaching and team around him, another one bites the dust maybe if if had a french surname hed be signed by now. The trouble is that he’s only 20% of the decision when it comes to buying players and is obviously over-ruled and we therefore will only sign under younger players who we can get a resale value on. Funny how Pardew The Deceiver made a public statement about go about Blanc talking up Cabaye, yet ol’ silver tongue has just talked about two players in regard to transfer for us in one statement there. He’s so two faced it’s untrue. Or is it true? Both, if Alan tells you. I do like Huddlestone though. Sprays the ball about superbly at times. He’d have to have the right movement going on around him to maximise his ability. In a Pardew team that won’t happen though. Maximising his abilities is a foreign concept to his highly limited coaching brain. Huddlestone has a solid shot too. There are a few down sides to him as well, but nearly every player has them. Hold the press, the latest to come from the silver fox is that Newcastle United can no longer compete with HULL in the transfer market! I struggle to accept the £129M defined as a loan, if it can be identified as such then what did Ashley pay to become the owner of NUFC and how is that entitled? The ‘loan’ could be termed as additional investment that was required to make the club the profitable business it is now. By moving the loan internally there is no expenditure on interest, but if it were to be repaid the club would not be profitable and potentially be viewed as less successful. The only reason I can see for terming the additional investment as a loan is that it is a defined cost and is not subjected to interpretation like the value of the club itself. 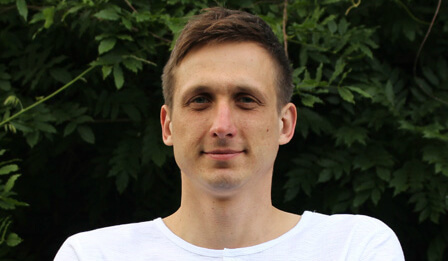 A difficulty arises for potential buyers faced with paying for the combined cost of i) the club assets, ii) the value attached to the business as a going concern and iii) the ‘loan’. The latter being far less attractive as it incorporates the costs accumulated by the present and last owners decision making. Perhaps this is why it is labelled erroneously as a ‘loan’ and has purposely remained to deter a change in ownership. Now Newcastle United can’t compete with Hull City for players, Pardew just takes the mickey with his idiotic statements. Past can be the future though, Transfer. They are still players who are available for transfer at any given window. If he was talking about Jurgen Klinsmann who has retired, then fair enough. He hasn’t. Both of those players are active, and under 30. That is most definitely making a public link to the player, whether of a previous admiration or subtle hint to the possibility future events (at this club or another). Pardew said before that he doesn’t speak of other players of other clubs. He’s done it a few times. Again, he lies, so that is nothing new. I’m just highlighting more of his little deceptions which some don’t realise. It was a fairly strong statement aimed at Blanc talking about Cabaye. Yet here he goes talking up two other players. He’s full of it all the time in his silky smooth snakes skin attire. No-one will ever see where the money went because it was never there in the first place. Figures come in figures go out massaged by the fat man’s chubby fingers . Pardew still thinks he’s managing Charlton Athletic instead of Premier league Newcastle United the deluded cockney sparrow. I don’t take it as such, he says he wanted them before, no mention of wanting (or not I accept) in the future. I think it’s safe to say they shouldn’t worry though as they are not injured long term, out of contract or French so they should be safe. I think it’s a totally different context to what blanc said, just my take though. The accounts are certainly published to show Ashley in the best possible light and it hinders a true picture, as does accusations of criminality without supporting evidence. As long as the cretins on here make excuses for Ashley and his spin doctor Pardew its business as usual. The 15th richest man in the UK is raking it in and sending his mouth piece out to rub the supporters nose in it. It’s a reference to another player at a club which he would like. If he doesn’t speak of transfers at other clubs, he wouldn’t mention this with any need for the inclusion of player trading. He said he doesn’t speak of players from other clubs in that way. He has. As for him saying he would fit the way he plays… he’s absolutely deluded into thinking that he has another other than a containing and negative style. Unless of course he thinks he’d fit that well, with his long shots as the get out clause. I take it as a ‘profile’ description, if you remember last summer he was on about getting in British players with Premiership experience, or otherwise known in this context as a Huddlestone-esk type of player. As per usual tho, Pardew was ignored and was shown to be regarded as of little importance, having also just scrapped out of relegation. It’s different though, he is saying he likes that player and was interested before, he isn’t saying he would look to buy him this summer or that he even is considering it. The fact we are playing Hull this weekend means that Pardew is asked questions about their squad. I think it is his pitiful attempt at ‘mind games’ to soften up opposition players with platitudes in the hope they go easy on us, as they may think “oh he likes me” and trip over their own feet!!! Ha ha, I’ll have to use that one. I will tell my 7 yo that its ‘poetry’ when we are in the vicinity of industrial language! Damn, there I go foiling our great leaders well made plans. He signed a permanent deal not a loan. Good player, who would have been a good signing. Do you have any idea how long pardew had been working on that plan? It goes back longer than his corner routine, just by one year mind, all the way to 1984. Inspired by the song ‘It’s a miracle’ by the culture club. Pardews just happy to finish. …unless he would have lived up to his injury pron reputation! The famous scout Carr will have a list of players no one’s heard of. isn’t that the point of a scout? Anyone can tell you messi, aguero, suarez, etc are good players.